Available to students who have completed Vajrayana Seminary or Sacred World Assembly. Please include the year you attended in the comments section of your order. 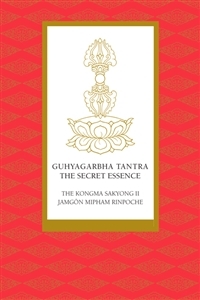 This book presents the introductory teachings on tantra given by the Sakyong in 1999 and 2000 based on the Guhyagarbha Tantra and its commentary by Mipham Jamyang Gyatso (“Mipham the Great”). In many ways, it is an instruction manual for ngöndro and sadhana practice that shows how central and essential is the path of identifying with the view of great equality and great purity.